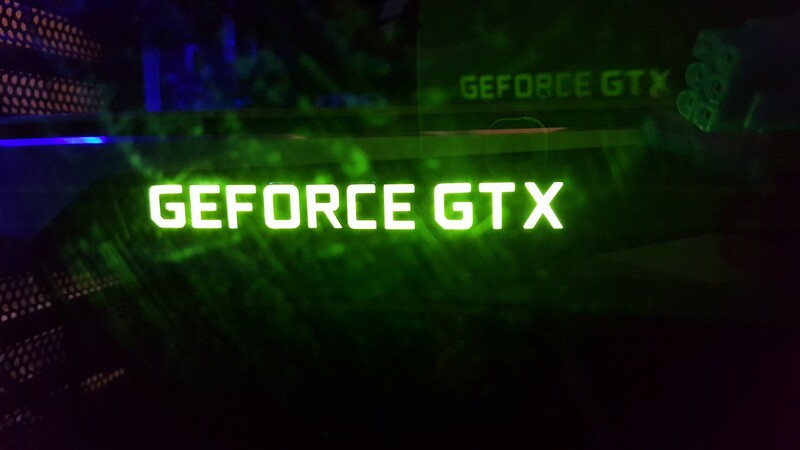 Loving the Nvidia GeForce GTX 1060 FE! 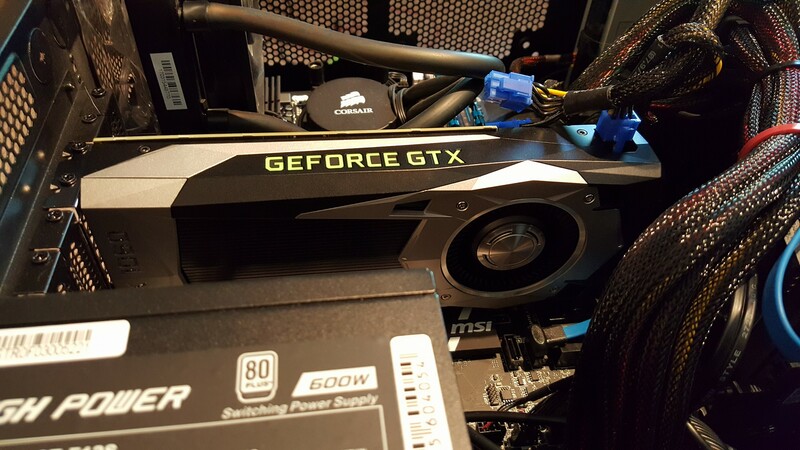 Last week I upgraded my graphics card from the GTX 960 (2GB OC) to the Founder’s Edition of the GTX 1060. 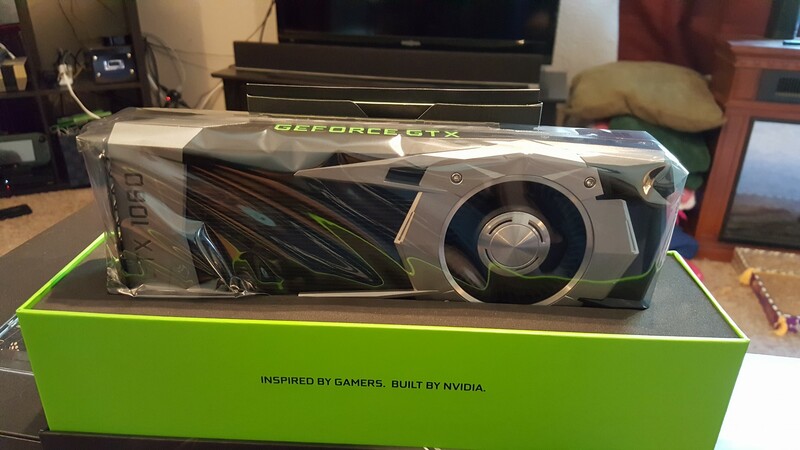 Most people interested in upgraded to the 1060 seemed to prefer to wait for the third party versions of the cards to come back in stock (they sold out quickly just about everywhere), but as someone who really dug the style of the Founder’s Edition cards when they were announced, I had no problem going with stock card from Nvidia. The card arrived last Thursday and I couldn’t wait to dig into it. I was really impressed with the way the card was presented once I slid the top off the box. I couldn’t help but stare at it in awe for a few moments before pulling it out of its snug fit in the box. The first thing I noticed is that the card had some serious weight to it, seemingly much heavier than my MSI 960. I had never installed a graphics card before, so I was a little nervous trying to remove my 960. The lever to release the card was being pretty stubborn and I had to press down uncomfortably hard to release it. Luckily I got it out without breaking anything (but I swear I felt the motherboard bend) and got the 1060 installed without much problem (it took some maneuvering to get the screw holes to line up with the case). Once installed I booted up my PC, got the drivers installed (I was worried at first because the GeForce experience app was gone, apparently I had to redownload it with the new card installed) and after one more reboot I was ready to go. The first thing that I did was launch Fallout 4 and crank every setting as high as it would go. My 960 could run it pretty well on mostly high settings (around 35-45fps if I remember right), but with the 1060 I got a steady 60 with everything maxed out. That excited me, as I’ve never seen such a steady framerate before. After fooling around for a few moments in Fallout I jumped into Overwatch and set it to epic quality, again with all settings maxed out, and saw a steady 70fps which also made me smile. The only other game I’ve played so far is Black Ops III, which also got a steady 60fps with everything maxed out. I’ve also noticed that the card doesn’t seem to get very hot while I’m gaming, and it’s whisper quiet all the time. After a few matches of Overwatch yesterday I checked the temperature using the GeForce experience app and it showed 59 degrees just after I exited the game. I haven’t checked how hot it runs during the heat of the moment, but it could be that Overwatch isn’t demanding much of the card. The hottest I’d ever seen my 960 run was in the low 80’s, but that was with overclocking and running a benchmarking app. I haven’t bothered overclocking the 1060 as everything I want to play runs incredibly smooth out of the box. I’m running on an AMD FX 8320 3.5ghz (liquid cooled and overclocked to 4) and as far as I can tell it’s not preventing the 1060 from delivering a great experience in anything I play. 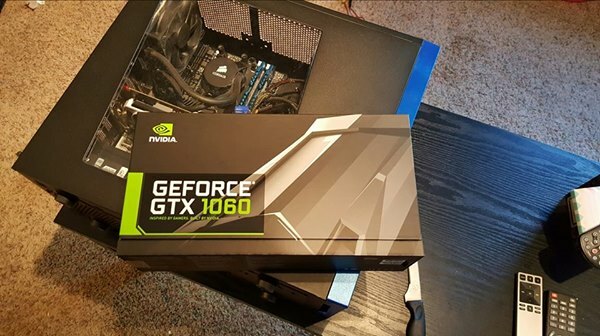 I have not intention of ever running anything higher than 1080p (my desktop is hooked up to my 47″ TV in the living room and that’s all I need) so the 1060 is a great card for my needs. I’m certainly glad I decided to make the upgrade, and look forward putting it to the test as more demanding games come out over the next few years. This entry was posted in Video Games and tagged 1060 FE, AMD FX 8320, FE, Founder's Edition, GTX 1060 FE, Nvidia GeForce GTX 1060, PC gaming, PC hardware. Bookmark the permalink. Do eSports belong on ESPN?